Published: Dec. 18, 2011 at 05:12 p.m.
(7:19) M.Moore pass short left to B.Marshall to BUF 21 for 13 yards (D.Florence). FUMBLES (D.Florence), RECOVERED by BUF-D.Florence at BUF 21. D.Florence to BUF 21 for no gain (B.Marshall). Caught in flat at BUF 29. 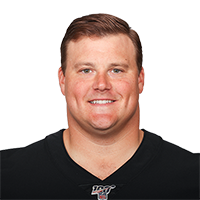 PENALTY on MIA-R.Incognito, Personal Foul, 15 yards, enforced at BUF 21.